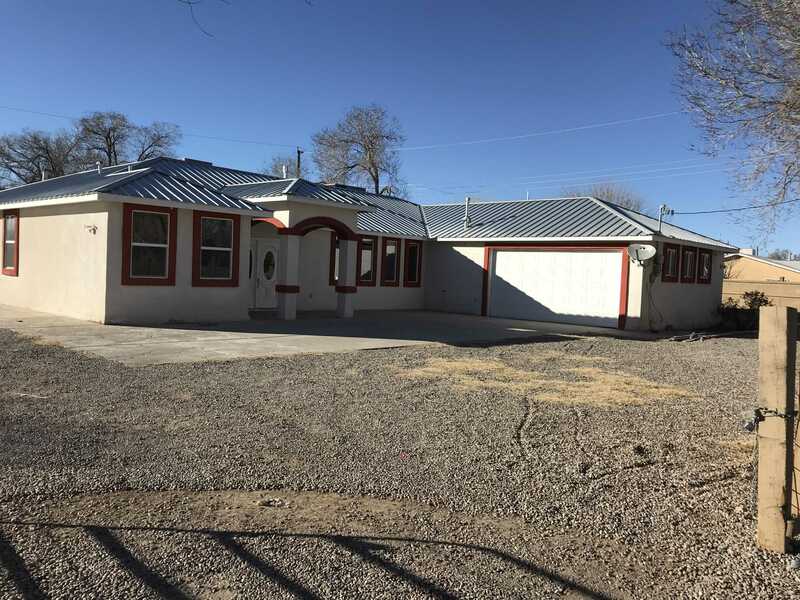 MLS# 937309 - 4333 Blumenshine Circle Sw, Albuquerque, NM 87105 - The FIRM Real Estate Group Inc. Custom 5 bedroom 4 bath home, nice open floor plan, custom bar in living area, tile and carpet throughout, recessed lighting,custom cabinets in kitchen, formal dining area, master bathroom has jetted garden tub w/ separate shower, double sinks for his and her’s, Large walk-in closet with custom California shelving. Large 1/2 acre lot horse property with stable.